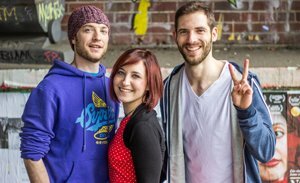 Just recently, my friend Lisa boasted about how awesome her recipes were. Nothing wrong with that; it’s fun to show off good recipes if you’ve got them. Always game for a challenge, I asked her to send me over her best of the best. Equally game for a challenge – she did. 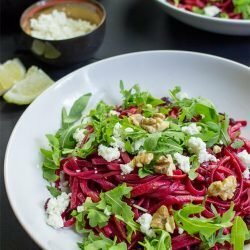 As soon as I saw the very first picture of her beetroot pasta, I knew I was beaten. I mean purple pasta – how cool is that, por favor? 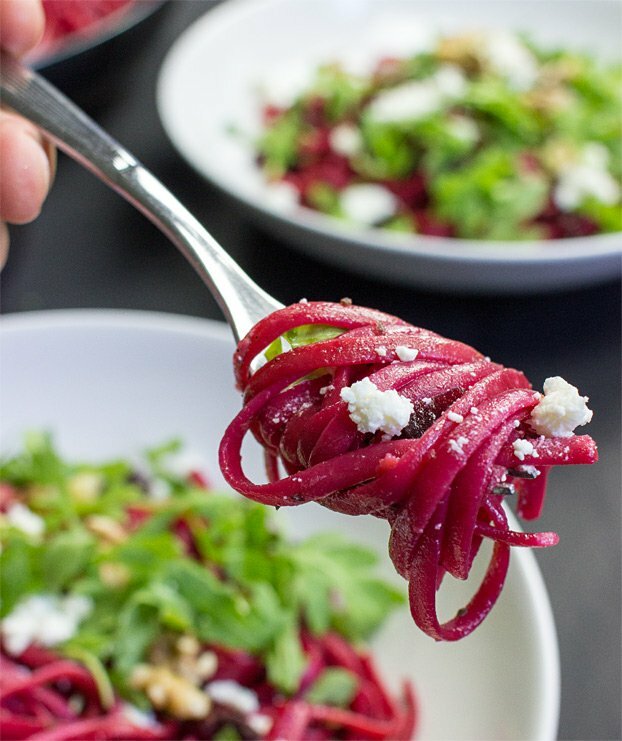 Surprisingly, this beetroot pasta tastes sublime too! 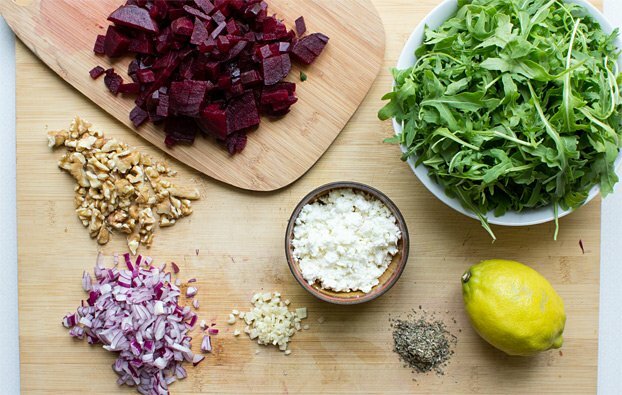 Well, surprising to me, but actually the combination of beets, arugula and feta is well known for being an excellent “pairing” of flavours. As you can also read up in ‘The Vegetarian Flavour Bible’ – it’s an amazing reference for all things flavour related – everyone from beginner to pro can learn a lot from this book. Some of the flavour combos we found are bizarre, but incredible! We can’t recommend it highly enough. 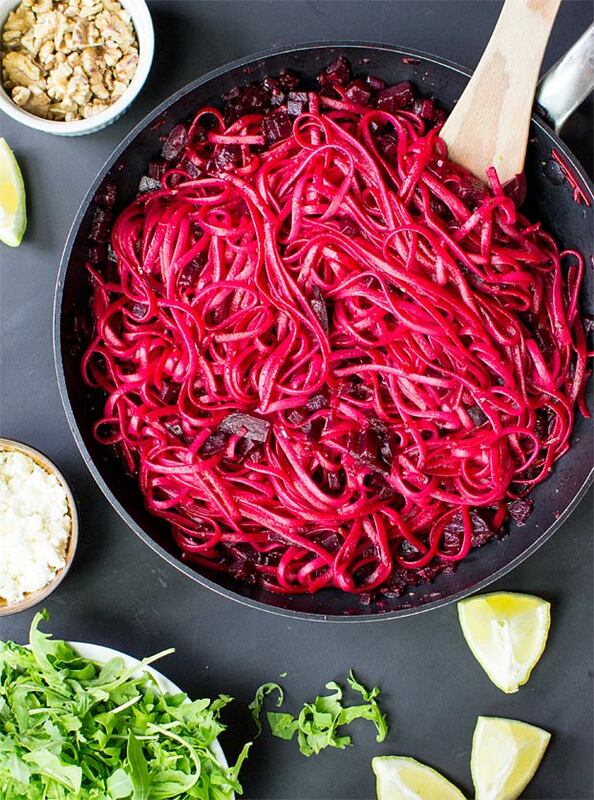 Beetroot juice is highly nutritious so it may well be worth grabbing some extra when you make your beetroot pasta. Beets lower blood pressure. Drinking beet juice may help to lower blood pressure in a matter of hours. One study found that drinking one glass of beet juice lowered systolic blood pressure by an average of 4-5 points (high systolic blood pressure can increase your risk of heart disease by causing artery-damaging inflammation). Boost your stamina. If you need a boost to make it through your next workout, beet juice may again prove valuable. The benefit is thought to also be related to nitrates turning into nitric oxide, which may reduce the oxygen cost of low-intensity exercise as well as enhance tolerance to high-intensity exercise. Rich valuable nutrients and fiber. Beets are high in immune-boosting vitamin C, fiber, and essential minerals like potassium (essential for healthy nerve and muscle function) and manganese (which is good for your bones, liver, kidneys, and pancreas). Eat it all! The green, leafy portion of the beet is also edible. The young leaves can be added raw to salads, whilst the adult leaves are most commonly served boiled or steamed, in which case they have a taste and texture similar to spinach. Bottom line: beetroots are good sources of vitamins and minerals, such as folate, manganese, potassium, iron and vitamin C.
The beets are bangin’ in this eye-catching dish. 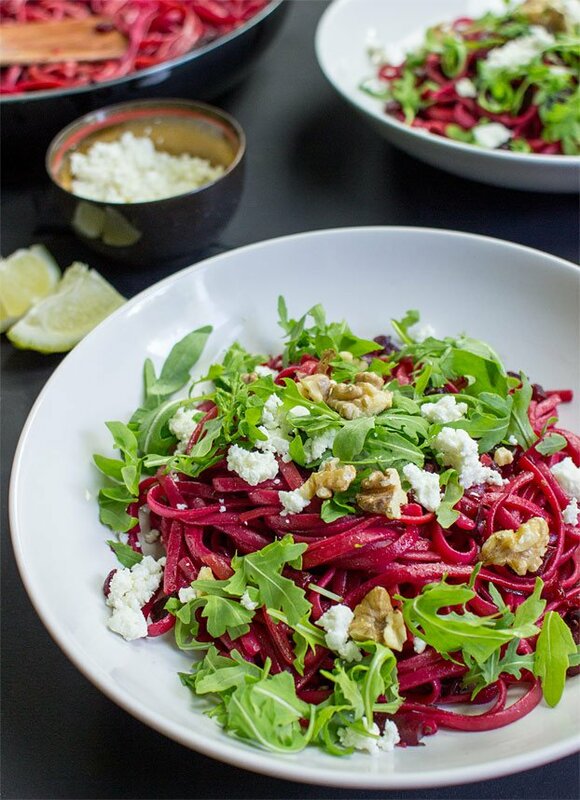 Highly nutritious, beetroots are an awesome addition to any pasta meal - including this beauty! Cook pasta according to package description. Roast the walnuts in a large dry pan on medium heat for a couple of minutes. Put the walnuts into a small side bowl and add the onion and garlic to the pan with olive oil on low to medium heat. After 2 minutes season with sage, salt and pepper. Open the packaged beetroot and pour the excess liquid into the pan. It should just be a few drops. Cut beetroot into small cubes and add it too. Add the white wine vinegar to the mix. Once ready, drain the pasta with a colander and collect about half a cup (100 ml) of the excess pasta water. 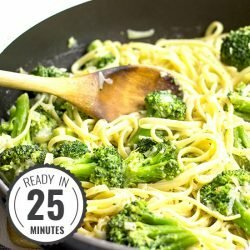 Add both the pasta and water to the pan. Now it’s time for the coloring, if you bought the beet juice. Add it to the mix. Give everything a good stir and let it simmer for about 6 minutes and make the taste test. While it’s simmering, wash and roughly cut the arugula. Garnish with the arugula, feta, walnuts and lemon. 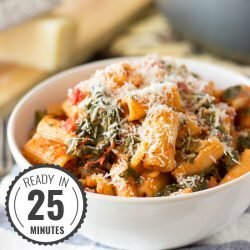 If you liked this recipe: Then you definitely need to check out two of our other pasta dishes: the gorgeous Red Pesto Pasta and/or this amazing Pasta Salad with Peanut Butter Sauce.